Our Organic Latex mattresses are hand made to order in Byron Bay. Production time is 5 working days. It is important that we do all we can to ensure our children’s sleeping environment is as safe and natural as possible. Zentai’s Certified Organic Latex Cot Mattress offers a natural and non-toxic alternative to conventional cot mattresses that contain petrochemical foams and other questionable chemicals. Certified by eco-INSTITUT in Germany and GOLS (GLobal Organic Latex Standard), our Certified Organic Latex is hypo allergenic, dust mite resistant and toxic free. Most conventional cot and bassinet mattresses are commonly made from synthetic materials and then treated with highly toxic, fire retardant chemicals. These chemicals off-gas and expose our babies and children to high levels of hazardous Volatile Organic Compounds (VOCs). It is well recognized that not only do VOCs adversely affect humans, but also animals and the environment. Evidence suggests that exposure to VOCs is linked to asthma, lung infections, SIDS and allergies in babies and children. Zentai Living’s Organic Latex Cot Mattress eliminates hazardous chemicals found in conventional mattresses while offering a more natural and non-toxic alternative for parents. All Zentai Organic Latex Mattresses are made with certified organic latex. They are naturally anti-bacterial, anti-fungal & dust mite resistant. This makes them perfect for asthmatics, allergy sufferers, those with chemical sensitivities and the health conscious. Pincore constructed Latex offers superior support for the body and is unsurpassed for its natural comfort and longevity. Zentai Living’s organic latex range is constructed of raw materials that have never been touched by pesticides, fertilizers and chemicals. Additionally, the growing process for these raw materials involves one or more sustainable energy sources. Our organic latex mattresses are GOLS (Global Organic Latex Standard) certified. This means they’ve gone through a rigorous screening process from the planting and gathering of raw materials through the manufacturing process to verify that sustainable processing methods are used in order to gather organic ingredients and/or raw materials. Furthermore, Zentai’s organic latex mattresses are made with GOTS (The Global Organic Textile Standard) certified organic 100% cotton covers. 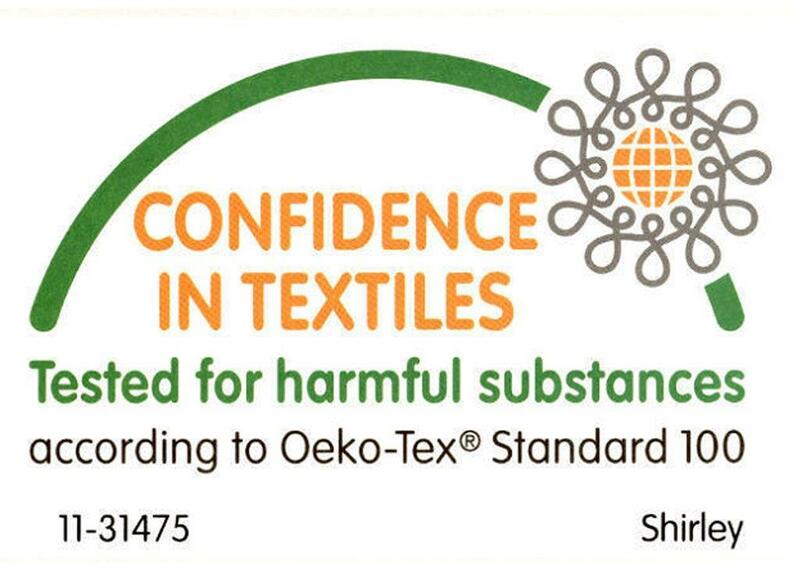 This standard sets the requirements that ensure organic status of textiles, from harvesting of the raw materials, through environmentally and socially responsible manufacturing up to labelling in order to provide a credible assurance to the end consumer. Our certified organic latex cot mattress has a firm side and medium firm side. The firm side has the recommended density for newborns, later in your baby's life you can turn your latex mattress over for a softer sleeping surface. 100% Certified Organic Cotton Cover. Organic cotton is certified by GOTS (Global Organic Textile Standard). Cover is removable and washable. In addition to the GOTS organic certification, our organic latex is certified 100% natural by ECO-Umwelt Institut. We use only the highest quality pure natural organic latex. Absolutely no synthetic latex, fillers or extenders are used in the manufacture. 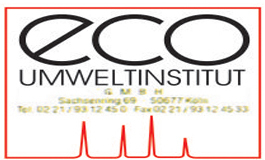 To ensure reliable and consistent quality we have our organic latex regularly tested and certified by the ECO-Umwelt Institut in Cologne Germany for over 250 substances. Continuous testing of quality and properties in accordance with International Standards ensures a safe product free of harmful toxins. LGA Quality tested for longevity & durability. 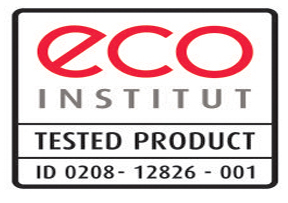 Zentai Living Certified Organic Latex products have secured the best test results in the industry from globally accepted testing bodies such as ECO Institute, LGA Quality Test Germany, Oeko-Tex Switzerland, ABC, STORK-USA and GOLS-Netherlands. Our latex blocks have been tested for its components with ECO certification over the last many years. Our products have no SBR and additional filler content and have passed with much higher ratings at the test. This is a testing standard recognized for ‘children- safe’ material. This test evaluates the durability and the resilience characteristics of natural latex. Our rubber has got 99/100 in this test. This test which is conducted in ABC labs, USA, evaluates the antibacterial efficacy of natural latex. Conducted by the Twin City Corporation, USA, this test evaluates the body interface pressure for latex products. Applicable to our organic latex products. The standard addresses criteria for natural rubber from certified organic plantations. To achieve GOLS certification, a product must contain more than 95% of certified organic raw material. This test evaluates the fillers, synthetic rubber and hazardous components and emissions in the product. ECO certification confirms that our products are free of fillers, synthetic rubber or hazardous particles, thus being certified as 100% natural. Wonderful latex mattress made to fit my baby's cot size. Bamboo covering feels lovely and soft, all ordered and delivered within a week and a half. Many thanks.